This is an update to a post I wrote about the Norton Folgate plans. I took these photos at an exhibition in 2012 called The Developing City*. The plans may have changed or adapted by now – I cannot find any other artist impressions when searching the web, which is very strange considering the campaign against this. As you can see, the lovely old tiled building with the clock will be demolished but a few historic façades will be retained and tarted up to within an inch of their life, thus removing any hint of history. These will be hemmed in by a couple of uninspiring yellow brick and glass boxes. If this is modern architecture, it's not very inspiring is it? If this plan does indeed go ahead, I very much doubt there will be a campaign to save the new buildings 150 years hence. 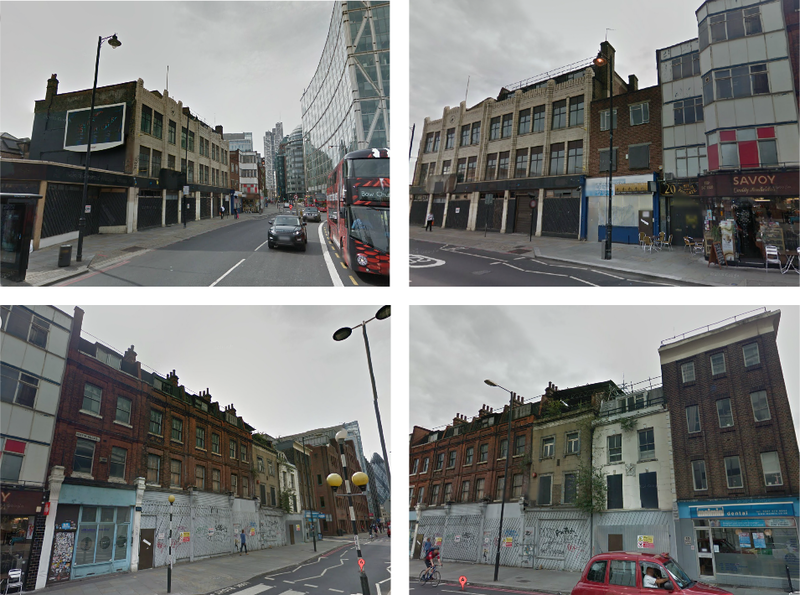 What's the point of holding onto a few façades?